How much time do you spend on your mobile device—cellphone or tablet? I’m guessing it’s somewhere between 1-5 hours per day. 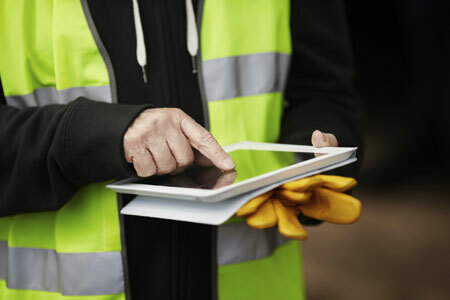 Of course, the nature of today’s field service work requires the use of digital devices and technology to increase operational efficiency, and rightly so. The easier it is for a mobile field workforce to manage their day-to-day activities, the more efficient they will be. Which leads me to the topic at-hand: real-time communication and collaboration in field service, asset service and mobile workforce management. Like the text messages you exchanged with your friends, family and colleagues this week, field service communications between operations managers, dispatchers, technicians or customers should be just as immediate. With that in mind, there is an immensely positive impact of providing field technicians with not just real-time messaging and collaboration solutions, but all of that functionality from within the same field service management application. In the software space, this is referred to as a single pane of glass, or one solution from which to do all the things. In fact, with customer service experience management at the forefront of any great service organization, communicating with customers is a major part of the end-to-end field process. The more empowered your mobile workforce is to communicate and respond to your customers, the more satisfied your customers will be. In the era of real-time messaging tools, field workers can seamlessly communicate via SMS/text messages with customers who don’t have, because they don’t need, the field service management app. To keep customers happy, they want to know the who, what, when and where to better plan their day. Customers may need to reschedule, change an appointment time slightly or provide details of where to park. This type of two-way communication between the field technician and customer is vitally important and in today’s field service, static messages won’t cut it. Don’t make your mobile workers close the field service management application they’re using to switch to another application—or two—if they can’t send SMS/text messages and make voice or video calls. Give them the right tools to remain in the app, including the ability to share assets, work orders and forms or document links in messages. To more effectively manage a mobile workforce, as well as provide the field with tools that will increase their efficiency, improve the customer experience and generally manage their work orders more effectively, the field must be enabled with one application to complete their work. An example where access to in-app communication would be crucial is the instance of equipment maintenance. The best field service and mobile workforce management solutions make decision-support tools available to the field through such tools as documentation. However, there are times when actually showing an engineer via a real-time video call from the field can help the technician solve what would have otherwise been a repeat visit. Every organization faces the challenge of knowledge gaps when an employee leaves the company. This is compounded in field service because of the nature of the work. Accurate records and documentation around work orders, assets and customers effects every aspect of the organization’s recording keeping initiatives. Sometimes lack of records impact compliance, leading to hefty fines. There is no organization today that has to be left in the lurch when a manager, dispatcher or technician departs for another opportunity. Bridging the knowledge gap with conversation history records related to work orders, assets and digital forms is possible and may mean the difference between an uneventful audit to incurring a fine for non-compliance. Another topic of the moment is real-time collaboration. From Slack to Google Drive and chatbots, businesses are leveraging the power of real-time collaboration to move faster, communicate better and enable their teams/departments to work more effectively. Why not have the same capabilities within a field service management solution? Not only are one-on-one conversations important but group or team conversations can quickly move the needle at solving an issue without waiting around. It’s similar to crowdsourcing, by employing the knowledge of many to tackle a problem. In field service, not a day passes where time is lost between work orders because there wasn’t a way to handle the situation in real-time. There is also power in the ability to engage business process automation of field service processes and workflows across real-time communications. What that means is engaging end-to-end field processes that include automated messaging and collaboration—from the office to the field. As changes happen in the field, there are points in the process where real-time messaging and collaboration are part of the workflow, such as alerting a customer to a schedule change, redlining asset updates or updates to a third-party back-office system. The future of real-time messaging and collaboration for field service presents interesting opportunities as well. As we’ve seen and discussed in a blog post, How Augmented Reality Will Change Field Service Operations, augmented reality (AR) in the field service and mobile workforce management space is no longer bleeding edge technology. Today, AR is already making headways in asset intensive industries, as well as in instances where visual planning is a requirement, such as equipment repair/maintenance and construction project management. Imagine visualizing equipment overlaid on augmented reality glasses in your field of view while making a video call to an engineer or inspector to help solve an issue in real-time. Manufacturing, oil & gas and cable & telecommunications, are just a few industries where such capabilities will have a major impact. In the current landscape of field service management, every field service organization should be using real-time messaging and collaboration solutions today or exploring the possibilities for implementing early next year. You only get better if you have the right technology to get you there.